The vote was 5 to 4 to approve the sponsor substitute as amended. Supporting were: John Davies jdavies@fnsb.us>, Nadine Winters <nwinters@fnsb.us>, Diane Hutchison <dhutchison@fsnb.us>, Mike Musick <mmusick@fnsb.us>, and Karl Kassel <kkassel@fnsb.us>. Please send a note of your appreciation. Opposed were: Matt Want, Guy Sattley, Natalie Howard, and Michael Dukes. Added to code: the “apples is oranges” amendment to approve coal appliances as though they burn wood, effective today. Removed from code: staff discretion from the appliance approval process, effective today. Added to code: 30% opacity limit with the Alaska exception so smoke cannot hide in water vapor, effective Oct 29. Many residents — mostly women and mothers again! — testified last night against the approval of the Titan 2 coal boiler, against allowing more coal appliances thru Section 2 of 2012-09, and in favor of the 30% opacity standard. Your descriptions of how you and your family have been damaged and harmed at work, home, and school shouldn’t be ignored. Another resident described how her husband had been sick for two weeks and couldn’t work for a week because of coal smoke in her neighborhood. “The air on Gilmore Street is often heavy with coal smoke.” Her family lives on the same street as the director of the Air Quality Program, and he burns coal. Who can she turn to for help? Resident after resident described thick smoke and physical harm they’d endured while dog mushing on the Chena, coming into town, and in their homes and neighborhoods. The 30% opacity limit seems promising. However, if Proposition A is renewed by citizen’s initiative Oct 2, 2012, Borough Attorney Rene Broker will advise the Assembly to vote to remove this health and safety protection from code, and the opacity safeguard will never take effect. The Assembly has been willing to add enforceable provisions, the 2011 Air Quality Zone Ordinance and the 2010 Air Quality Ordinance. Yet, not one step has been taken for enforcement. Here’s the response given to a recent public record request for all records related to investigation of any air quality complaint, letters sent to any smoke emitter, or any citations: None exist. Despite numerous requests from testifiers, the Assembly did not discuss the improper approval of Titan 2. That approval was given in secret on Jan 24 and hidden from the public and the Air Pollution Control Commission during their hearing Jan 31. Transportation Director Glenn Miller and Mayor Luke Hopkins were not present and thus could not be questioned. Thank you Assembly member John Davies for offering the motion to close this loophole. Too bad staff were told to let the horse (Titan 2) out of the barn first! This discretionary authority loophole wasn’t known to exist until Jan 23, then was used once, on Jan 24, to approve Titan 2 on the sly. Convenient abuse of authority. The original language gave staff no discretionary authority to qualify or list or otherwise approve an appliance that did not meet an EPA emission limit standard. Approved without discussion was language in the sponsor substitute for Ordinance 2012-09 to allow staff to approve coal-burning appliances as though they burn wood. The phrase “in a similar category” allows an auger-fed coal boiler to be judged by EPA emission limits standards for burning wood or grain. No requirement is included to consider the lead, selenium, chromium, cobalt, manganese, nickel, and arsenic emitted by coal boilers and coal stoves or the health impacts from these toxics. No requirement to consider sulfur and nitrogen oxide emissions which convert to PM 2.5. 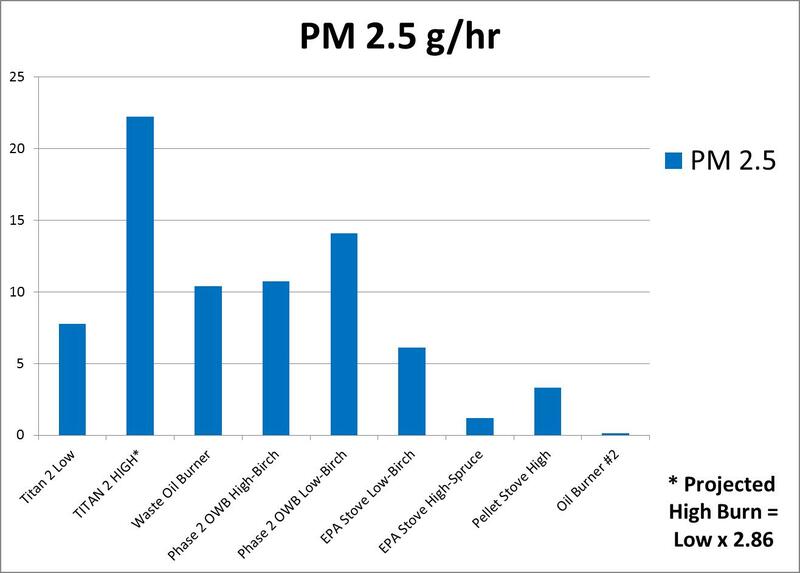 The issues of toxic metals and secondary PM 2.5 are associated with coal, not wood. This “apples is oranges” amendment is as stupid as it sounds. EPA doesn’t have emission limit standards for coal for good reason; EPA has “significant emission concerns” about coal appliance emissions. As should Fairbanks residents and leaders. As you know, Titan 2 never met the standards because it was tested at low according to OMNI lab. Last night, Dr. Jim Conner reported surprising information: Titan 2 was tested at 65% burn rate, not the 35% rate reported by the EPA certified OMNI lab. OMNI “walked” Titan 2 through its paces June 7, 2011, the OMNI lab’s Oct 14, 2011 and Dec 23, 2011 report drafts stated 35%, and he used that 35% burn rate data to approve Titan 2 Jan 24, 2012. Last night it swells to 65%? Incredible. No written explanation is available to be independently reviewed. Further, Dr. Conner’s epiphany does not answer why Titan 2 was tested at any rate other than maximum as required by EPA to qualify a Phase 2 pellet boiler. It does however affirm why discretionary authority was invented. 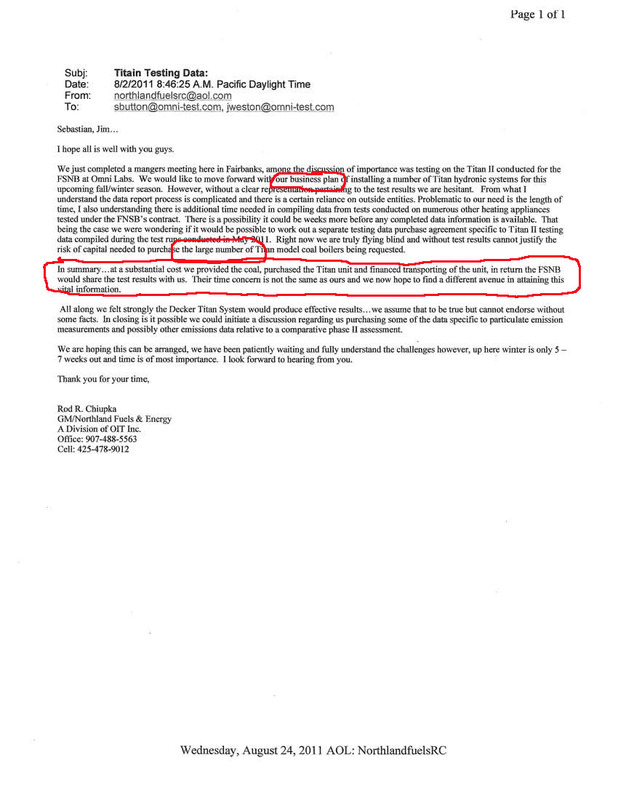 Staff were unable to use EPA’s standard because EPA’s procedure hadn’t been followed. Effective today, the way is now clear for the next coal boiler to be approved, Titan 1 perhaps. Borough staff would better serve the needs of the public if they stopped to consider the full consequences of their actions, not merely primary PM 2.5. Evidently, this requirement needs to be included in code as staff are not arriving at it on their own. Close one loophole invented for Titan 2. Open another to allow more coal appliances by pretending coal burns like wood. On the whole it was a surreal commentary on a community that has lost its way. Innocent children are in danger. Residents have been permanently damaged. Our community’s economic future is at risk. And, the highest hope this town can offer is a paper promise to chase smoke next winter, but only in response to complaints, and only if the Borough attorney doesn’t recommend removal of the provision this October. This outcome is what Assembly member Nadine Winters has called “the art of the possible.” And Transportation Director Glenn Miller has said, “It will get worse before it gets better.” Oh please. Graphs to Resolve the Question: How Dirty is Titan 2? One of these devices doesn’t belong here. See if you can guess which one shouldn’t be FNSB approved? Below are the current array of FNSB approved burning appliances which were tested by OMNI lab in 2011. The Titan 2 coal boiler was tested only at LOW so PM 2.5 emissions have been projected at HIGH. The EPA emission standard limit for a Phase 2 Outdoor Wood Boiler is 18 grams per hour. Below are the OMNI test results for sulfur and nitrogen oxide gases that convert into secondary PM 2.5 from FNSB approved burning appliances. Below are the OMNI test results for lead from FNSB approved burning appliances. Lead is an EPA listed Hazardous Air Pollutant. 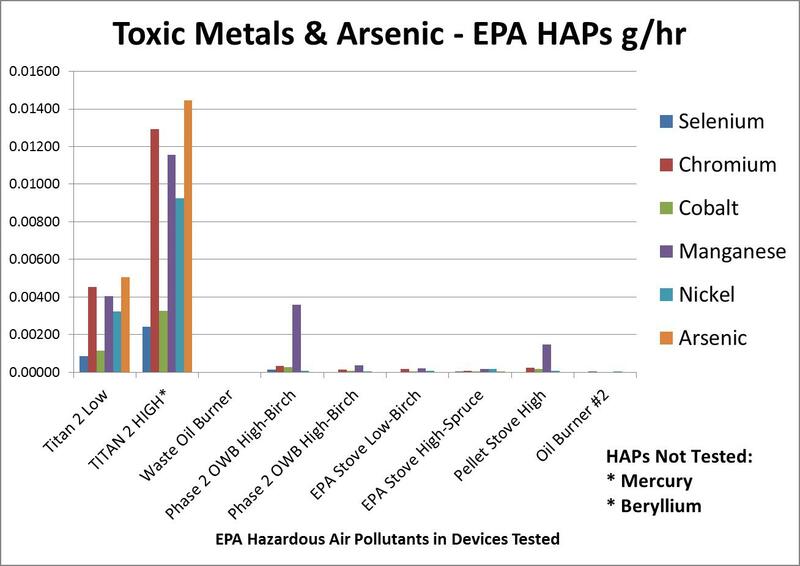 Below are the OMNI test results for toxic metals and arsenic from FNSB approved burning appliances. Selenium, chromium, cobalt, manganese, nickel, and arsenic are EPA listed Hazardous Air Pollutants. Mercury and beryllium are also HAPs that USGS has reported are in Healy coal, but OMNI lab did not test for these toxic metals. OMNI lab testing of the waste oil burner reported “no data” for toxic metals and arsenic. 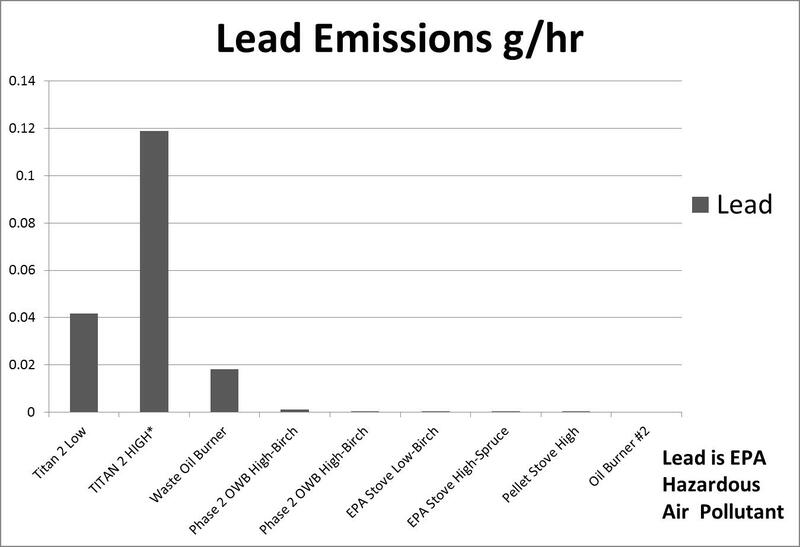 Emissions gas by-products grams/hour table p 17; Titan 2 (#28 and #29) had highest emissions of sulfur and nitrogen oxides of 9 devices tested. 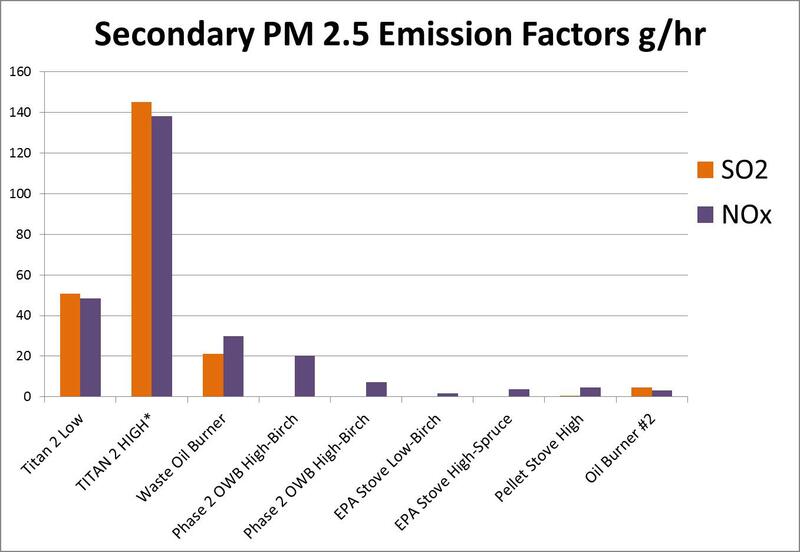 No comparison to oil furnace emissions that are more likely to be replaced. Used PM 2.5 grams/ton of fuel, not EPA emission limit standard which is g/hour. G/ton is not used to approve devices based on their emissions. Asserts unwritten “discretionary authority” not in FNSB Code Chapter 8.21.020 1.A.a. “Low burn” rate, not high burn rate, ordered by the Borough. Plus, the Borough was asking for 2 more days worth of coal for Titan 2, “as there is not enough from the amount that we sent.” That coal never arrived. Dr. Jim Conner had concerns about OMNI performing the tests in a warm warehouse rather than at ambient winter temperatures that go below minus 40ºF. With coal of 33.5% moisture content, at colder temperatures ice feeds directly into the combustion chamber along with the coal. This cooling could increase the byproducts of incomplete combustion. OIT/North Pole Coal’s “business plan” to sell a large number of Titan 2 coal boilers. This is your last chance to testify against opening the door to more coal burning appliances in the nonattainment area. If coal smoke and the prospect of more coal smoke concern you, you need to say so now. This is also the time to stand up against government corruption and deceit: how the Borough illegally approved the dirty Titan 2 coal boiler and then has been covering it up. The first coal burner the already approved by the Borough, Titan 2, will likely replace oil furnaces and emit 175 times more PM 2.5, plus high levels of toxic metals: lead, selenium, beryllium, and mercury. The ordinance will even make our stove change-out program the only one in the nation (and perhaps the world) that pays you $2,500 to put in a qualifying coal appliance (like Titan 2) to replace a nonqualifying appliance. At under 6 cents a pound, that government cash payment intended to improve air quality would buy 21 tons of coal. Price out a ton of coal at North Pole Coal. Is this taking us backwards or what? You may wonder why Nadine Winters, John Davies, and Mayor Luke Hopkins are doing this. Good question, it’s makes no sense and hurts our health. Ask them why they covered up the approval of the dirty Titan 2. Ask them why they want to allow more dirty coal burners and how it will improve our air quality. The coal dealer in North Pole wouldn’t have been so successful promoting coal burning as the solution to our air quality problem without help from the inside. What Were Air Pollution Commissioners Told? What Were They NOT Told? The APCC and the public are being told one thing while Borough staff refer to unwritten authority to do another. This abuse of power should be of particular concern to members of the Assembly. Two commissioners (Gwen Holdmann and Deborah Rinio) stated their concerns about the consequences of approving coal appliances and voted no. In the end, all five commissioners agreed to Section 2 of 2012-09 to authorize the Borough to approve more coal-burning appliances. 2012-09 needed to be approved to allow this device to be installed in the nonattainment area and to participate in the change-out funding. New “discretionary authority” had been discovered in code to allow Titan 2 when no such language exists. Review the transcript of the 1/31/2012 APCC hearing (link above) and the borough tapes for yourself. For the details and sources on what the APCC was told and not told, read the report: Why did the Borough Approve the Titan 2 Coal Boiler? Questions and Answers. The end result of this abuse of our laws and public process is greater harm to the health of innocent residents including children. It is the Assembly’s job to right this series of wrongs. To fail to do so, undermines the credibility of the plan for meeting attainment and places the health, economy, and future of our town at greater risk. The approval of Titan 2 must be immediately withdrawn. The language in 2012-09 to allow the Borough to approve more coal-burning appliances must also be withdrawn. The Assembly should order a full investigation of Borough procedures used to approve an improperly tested and polluting coal boiler. And if you would, please also share a copy with <cleanairfairbanks@gmail.com>. The intent of this report is to make transparent the facts, data, and judgments behind the flawed decision to approve the Titan 2 coal boiler. Clean Air Fairbanks reveals what the Air Pollution Control Commission was told; the process and procedure used to approve Titan 2; the results of emission tests performed by OMNI lab under Borough contract; Titan 2’s threat to attainment; issues of abuse of power, conflict of interest, and special interest; the effect of changes proposed to current code; and what may be approved next. The language in 2012-09 to allow the Borough to approve more coal-burning appliances must be removed. This Thursday, the Assembly will consider 2012-09 to allow more coal-burning appliances to be installed in the nonattainment area. On Jan. 24, Borough staff already approved the Titan 2 coal boiler, in violation of current code. A week later, when the Air Pollution Control Commission was asked to consider 2012-09, news of the approval of Titan 2 was withheld from the commission. Mayor Hopkins and Borough staff told commissioners: “current code prohibits the installation of coal appliances.” Commissioners were also kept in the dark about the testing procedures and emissions data used to approve this coal boiler. These data and testing procedure show Titan 2 was not qualified to pass any emission limit standard for fine particle pollution (PM 2.5). Emissions data also show the smoke from Titan 2 contained high levels of toxic metals as well as sulfur and nitrogen oxide gases that convert to secondary PM 2.5. The approval of Titan 2 was made in error and violates current code. Time Magazine places Fairbanks in a tie for fourth worst fine particulate levels in the nation, see Time Magazine’s Ten Most Air-Polluted Cities in the US 9/29/2011. Efforts are needed to support bringing the nonattainment area of the Borough into attainment with PM 2.5 standards by the Dec. 2014 EPA deadline. No action should be taken which increases unhealthy concentrations of smoke in neighborhoods and near schools and delays opportunities to meet attainment as soon as possible. Dermot Cole has called for Titan 2 to be “put on hold” because it was tested only at low burn, Borough approval of coal-fired boiler needs review 2/17/2012. A further concern is that Titan 2 was approved on Jan 24, 2012, but the approval was kept secret from the Air Pollution Control Commission a week later during its Jan 31, 2012 hearing. ACTION: Tell your Assembly members you oppose the Borough’s approval of the Titan 2 coal burner and want it withdrawn immediately. Please share a copy with <cleanairfairbanks@gmail.com>.